There’s been a big movement to eat ethically lately, with people are quickly growing conscious of the dangers of growth hormones and GMOs, opting for organic or local products, as well as ensuring that those who are growing and harvesting their foods aren’t being exploited. It’s not just about feeling good physically when going shopping or going out to eat; it’s about feeling good mentally as well. 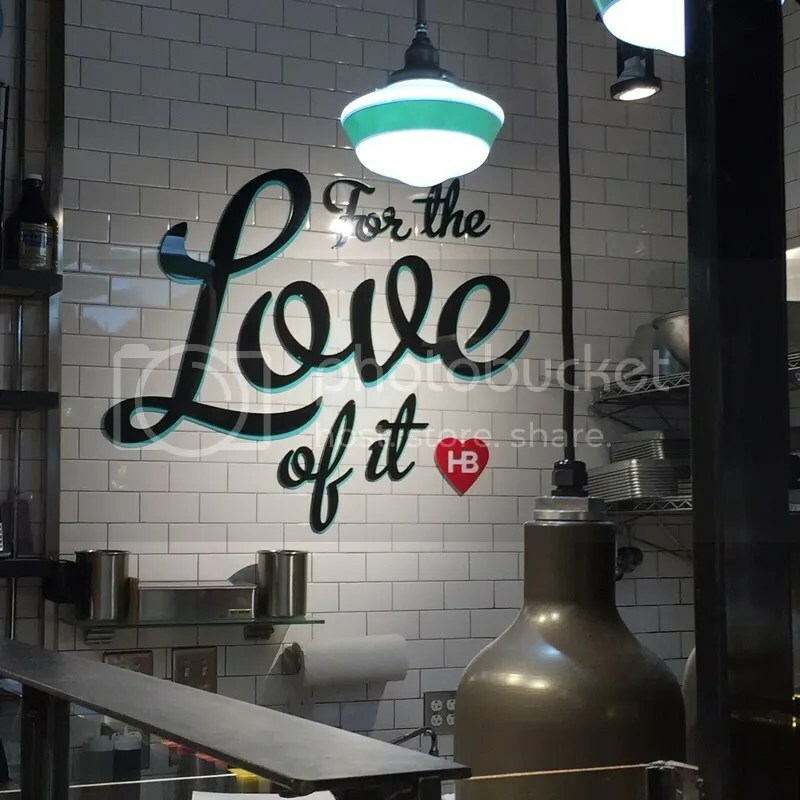 And at Hunger Burger (located in the famous Reading Terminal Market), they’re doing just that. In addition to using only the freshest ingredients and 100% hormone & antibiotic free all natural Black Angus beef, with every burger that is sold, they will donate a burger to feed a child in need – supporting local charities like Philabundance & No Kid Hungry. On my visit, I opted for the Philbert Burger (named for Filbert Street, which is adjacent to the market): topped with American cheese, green leaf lettuce, tomato, smoked bacon and their specialty HB sauce. The burgers are smashed & griddled in a fashion similar to Smashburger, leaving a bit of a crispy char on the outside of the patty. They’re served on a soft potato bun and are on the smaller side (but don’t worry – you can order the burger as a double if you’re famished!) It was simply seasoned and really tasty. The menu said to ask if you want it topped with pickles, but the cashier asked me if I wanted a pickle and of course I said yes! It was a little bit on the pricey side (about the same range as Burgerfi across the street or Shake Shack), but worth it knowing that my money would be going to benefit someone in need. They serve crinkle cut fries just like Shake Shack as well, but with a lot more crunch! There’s even a variety of dipping sauces you can order for an additional fee ($1.50 – also a little pricey) if you choose. 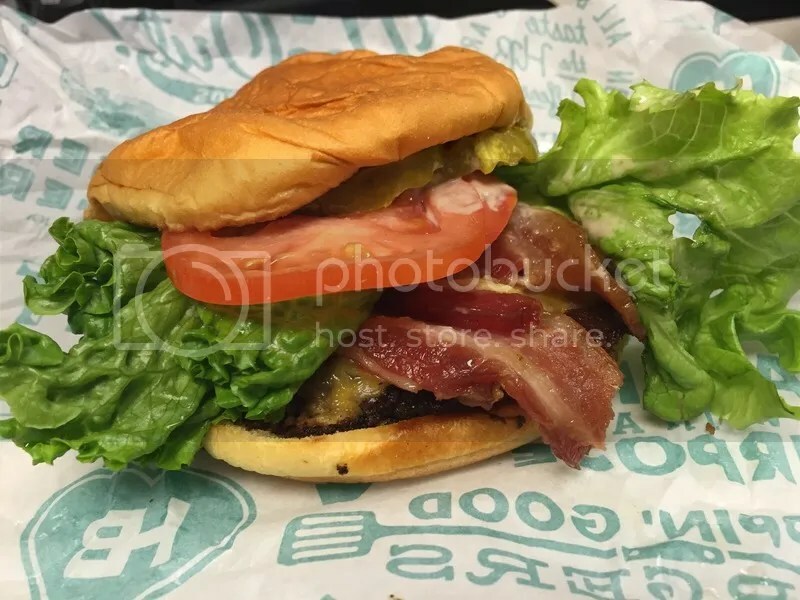 So next time you’re in Reading Terminal, think before you eat and let that tummy rumbling guide you over to Hunger Burger! Posted in American cheese, bacon, buns, burger, charity, Hunger Burger, No Kid Hungry, Philabundance, pickles, potato bun, Reading Terminal, Reading Terminal Market, sauce, smashburger, smashed. Bookmark the permalink.